Directed Social Learning Model – here social approaches are used to reinforce or test understanding in the expert-driven content-focused approach to learning. L&D’s role is to ensure that people participate and keep on track. The current x-MOOC phenomenon is an example of this approach. Guided Social Learning Model – here the focus is on building a framework for the sharing of ideas and knowledge in order for individuals to learn from one another. 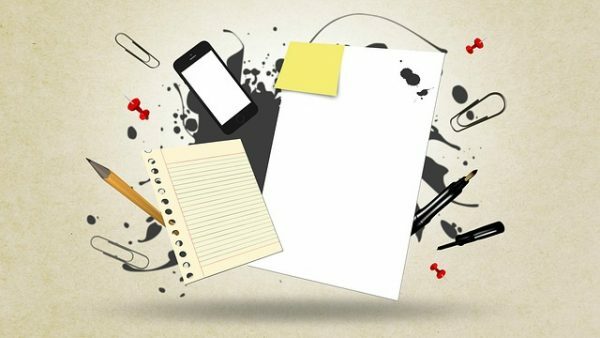 Content (both expert- and user-generated) supports the learning, rather than drives it. The L&D’s role is to encourage and support the conversation rather than (en)force it. Examples include Learning Flows, other connected learning activities and connectivist MOOCs. Team Social Learning Model – this is where teams and groups share their knowledge and experiences as part of the daily flow of work. L&D’s role is to help to build a social team to encourage learning out loud, working out loud, social performance support, and collaborative working. Individual Social Learning Model – this is where the individual builds his/her own professional network of colleagues and contacts (aka PLN or Personal Learning Network) to exchange ideas and experiences outside the organisation.The L&D’s role is to help individuals develop the new skills so that individuals can grow and manage their own networks, and feedback what they have learned into the organisation. Whereas traditional course authoring tools and LMS platforms are being adapted to support the Directed Social Learning Model, new enterprise social platforms that underpin social business and the Team Social Learning Model are proving to be a useful platform for the Guided Social Learning Model since they do not constrain thinking about “learning” in traditional ways. Which model(s) of social workplace learning are you supporting in your organisation? We’re starting a Twitter Cohort today with about 30 people – most brand new to Twitter. We’re using the Guided Social Learning Model and hope the outcome leads participants to to developing the Continuous Social Learning Model for their group, and the Independent Social Learning Model for themselves. It’s always an adjustment for the guides and participants as they adapt to learning models that they are unfamiliar or uncomfortable with! 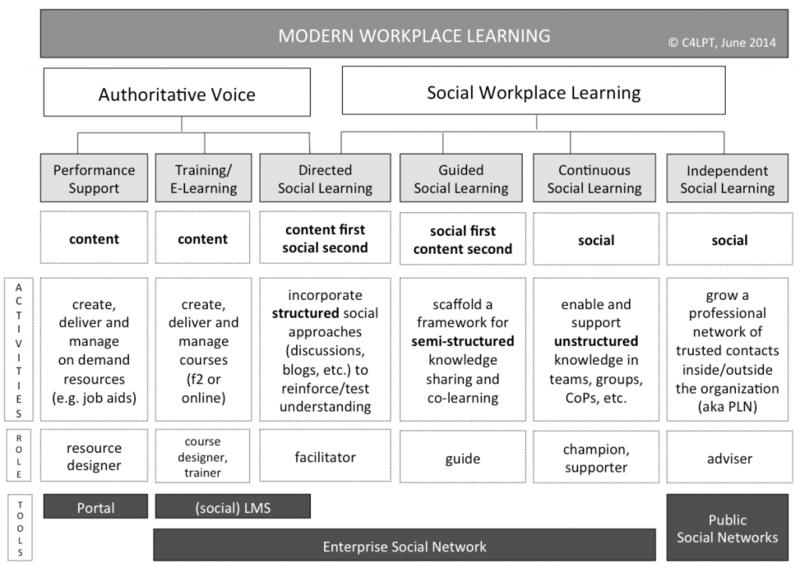 4 Models of Social Workplace Learning http://t.co/EOtcgja5r1 via @C4LPT – finally rediscovering CoPs – check it!